I can hardly believe its October already can you? You sure know what that means right.....Halloween! Before we know its time to start down the countdown to Christmas, how bloody exciting right? But enough about Christmas right now I am getting super excited for all things spooky in October for one of my favourite holidays, Halloween. 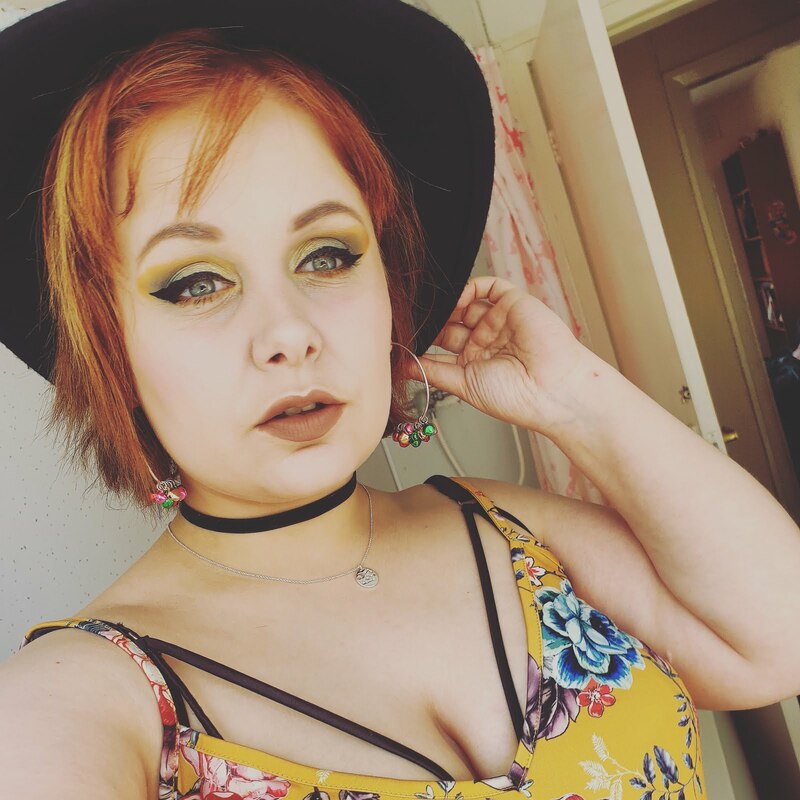 I haven't been blogging very often lately as I have been feeling rather ill and I am still feeling under the weather but decided to get some blog posts done. It's been a while since I last went to Lush and the last thing I used was their 'Turtle Immersion jelly bomb' which personally I wasn't wowed by, unfortunately. 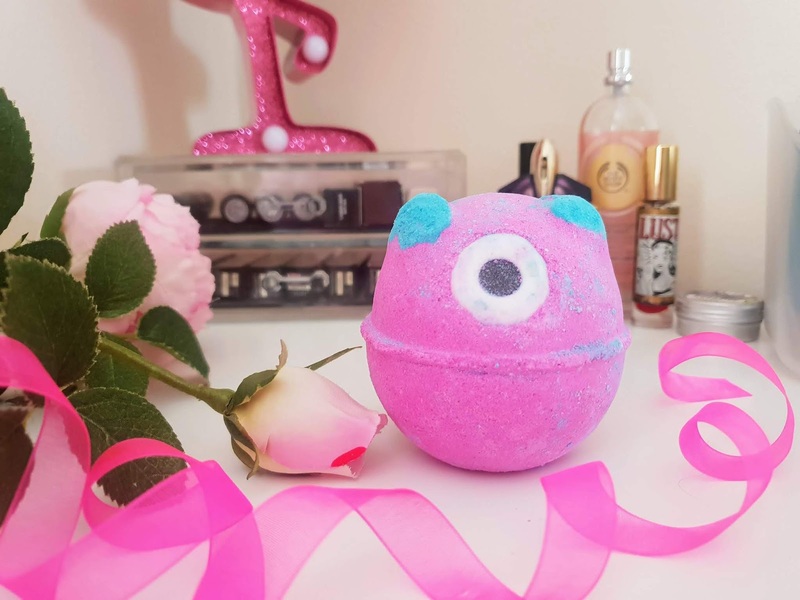 I just love their Halloween range so just had to get 'Monster's Ball' Bath bomb! 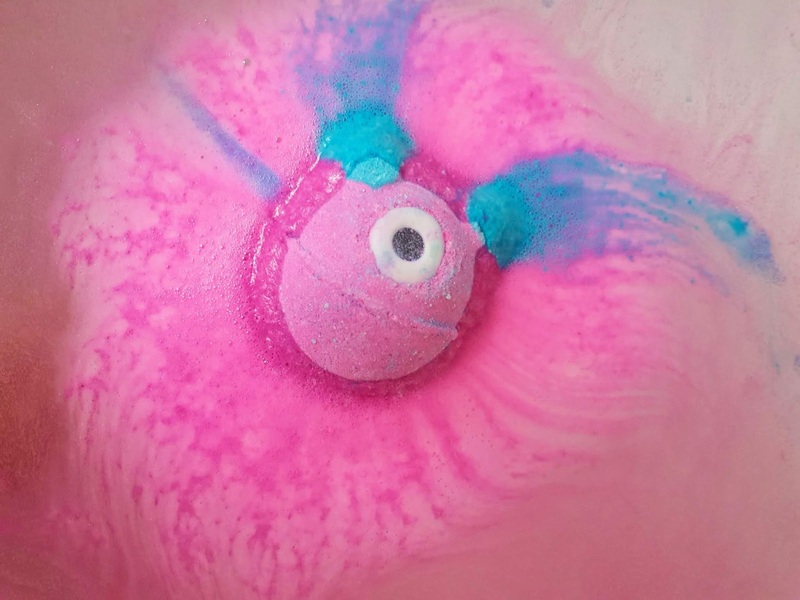 It has to be one of my all-time favourite bath bombs! Now I am not 100% on this but I am pretty sure that the design of monsters ball is the same as its always been since its release in 2016. It does look amazing with its spooky monster theme, it is a little bit bright, especially once it's in the bath. It is a monster and it is pink with blue ears and an eye in the centre of it. 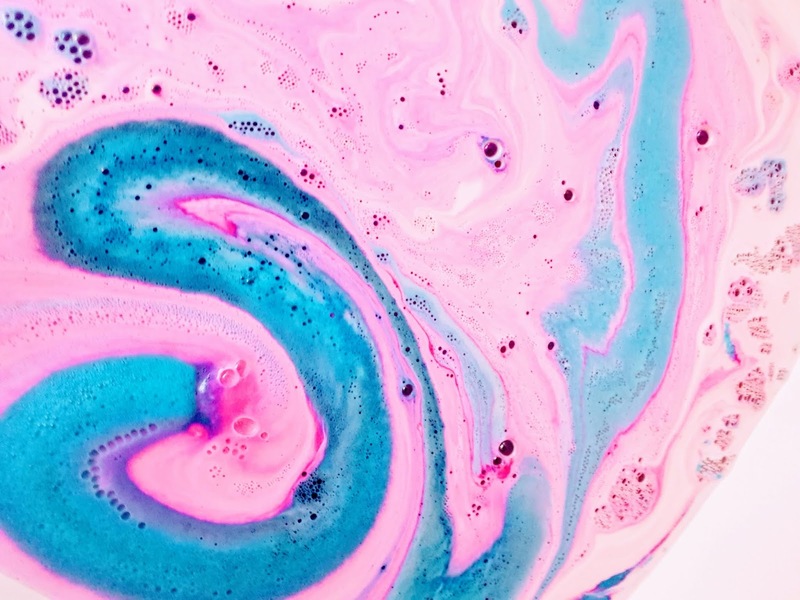 Once it is in the bath it swirls a rainbow of both the pink and the blue and it will swirl like that for a fair few minutes showing an amazing display of pink and blue in the process. Once its finally melted it turns the bath a sparkly deep purple which looks stunning. 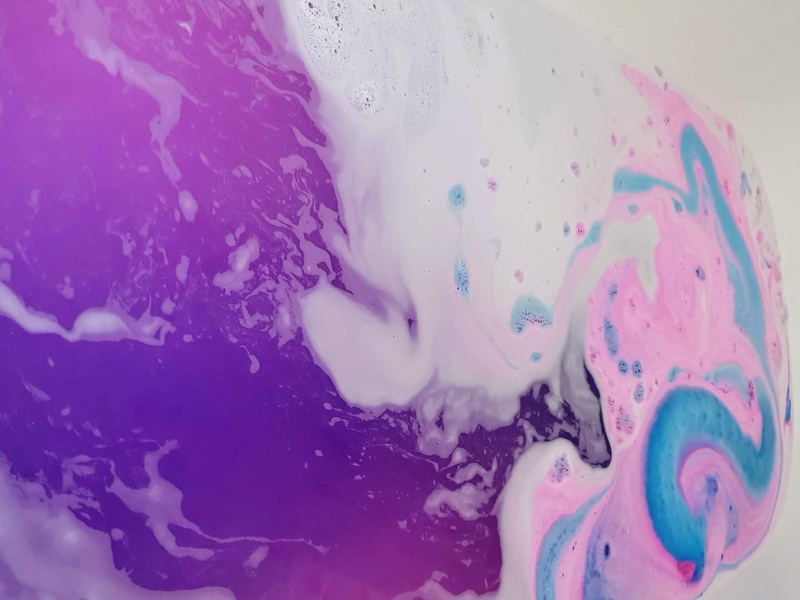 Now the scent of this bath bomb is actually a revamped bath bomb by Lush called 'The Enchanter' which is now discounted -they basically have all the same ingredients just a different design. A few people will also recognise that this has the Calacas scent which is a blend of lime, bitter orange and olibanum oils (Frankincense). The first thing I notice is the beautiful zesty scent of 'Lime oil', it smells very refreshing and 100% makes this bath bomb! The other scents in this are 'Neroli oil' which happens to be in a lot of lush bath products and it smells very floral with a citrusy kick to it. 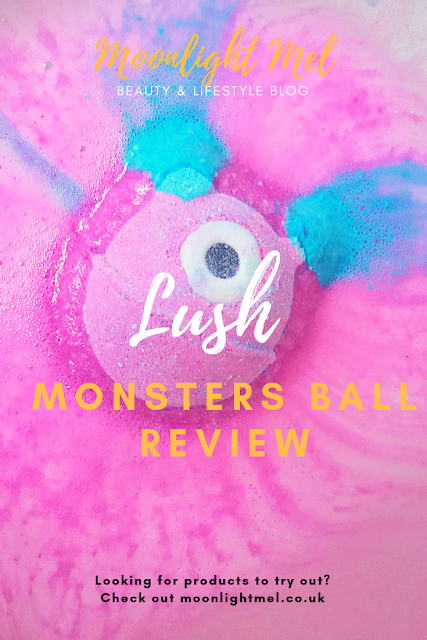 To give monsters ball a woody yet sweet scent it has 'Olibanum oil' which completes this bath bomb perfectly. Overall I am very happy with this and I will definatyl be stocking up on Monsters Ball's seeing as its a limited edition product from their Halloween range. I love the fragrance of the bath bomb especially the lime fragrance. The display is nothing short of amazing as the pink and the blue makes the most amazing display which almost looks like something you would see in the galaxy. I am a little disappointed in the price because it now costs £4.95 compared to £4.25 when it first came out in 2016 and a lot of Lush products are getting a little expensive in my opinion. I do wish they made more Halloween products because for me it has to be my favourite collection they do at Lush! Ahhh this is so cute! 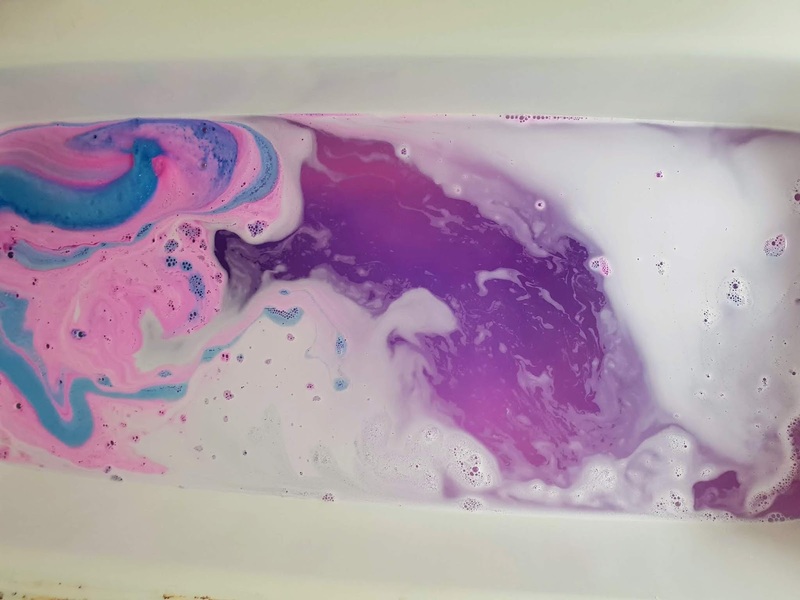 And I love the colours it makes the bath! It does look amazing and very bright!